Places to visit, events and all things Melbourne...and beyond. Does relaxing in a secluded valley with a river running nearby with little more than chirping birds and the sound of children having fun sound like your cup of tea? Then might I suggest a weekend away at Glen Cromie. 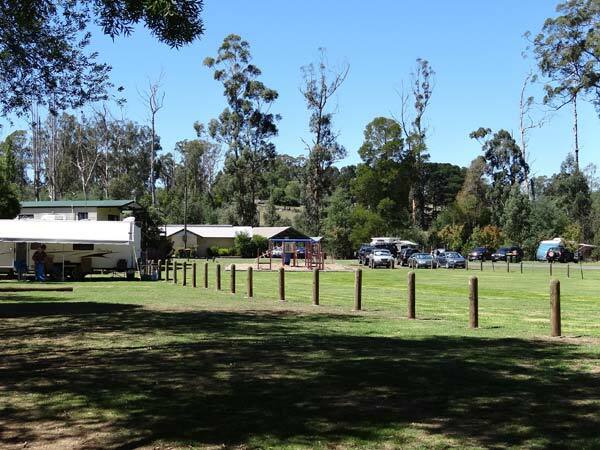 Glen Cromie Caravan Park (pictured above) isn't the flashiest of caravan parks, however its rustic appeal will please those who don't mind roughing it a little. This caravan park offers a few onsite vans and villas for hire and plenty of grassy camp spots for those who come equipped with their own traveling homes be they caravans, campers or the humble tent. Glen Cromie Caravan Park comes complete with two resident cats. Buster, the super compliant black and white moggie will steal your comfy camp chair should you get up to find yourself a spot of lunch or move about, the other not so friendly cat is a little harder to spot. If you're not up for pitching a tent and boiling the billy this park welcomes day visitors at a minimal cost and you can even hire out one of the large picnic shelters. The toilet blocks are on the tired side but for the most part fairly clean given there isn't too many of them. Fire drums can be hired for $5 each and barrows of wood purchased for $15. Unfortunately our weekend turned out rather windy and we preferred not to see our tent go up in flames. The kids will really love Glen Cromie, whether its a game of Frisbee in the large grassy park, a visit to the playground or bouncing up and down on the wonderful suspension bridge over the river. All of the family will love an easy walk on one of the bushland tracks and what about a warm day treat paddling in the river shallows at the sandy beach. Nearby Jindivic holds a market on the first Saturday of the month from 9am-1pm and although small is worth the 10 minute drive. You'll find lots of country goodies including teas, honey, hats, flowers, cakes, cookies, plants, garden art, olives and fresh fruit and veg. Make sure you stop by and say hello to Sam the 'olive' guy. Sam is a charming Parisian who also happens to be an ex pilot and has more than a few stories up his sleeve if you have time to stop and chat. Glen Cromie sounds wonderful I must go and visit soon. How come there's no photo of Buster? You have piqued our interest! Didn't the photographer take a photo of Buster the cat? Diverse | Exciting | Old | New | Vibrant | Busy | Clean | Liveable | Friendly | Relaxed | Magical | Sporty | Caffeinated | Multicultural. 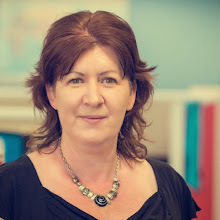 Whether you live here in Melbourne Australia or are visiting there's something for everyone is this blog. I hope you enjoy discovering new places and new experiences as I have. The images used in this blog are NOT free to use and share. Photos have either been taken by myself (Suzanne Trew) or used under the Creative Commons licence and each image has a link back to the author where possible.